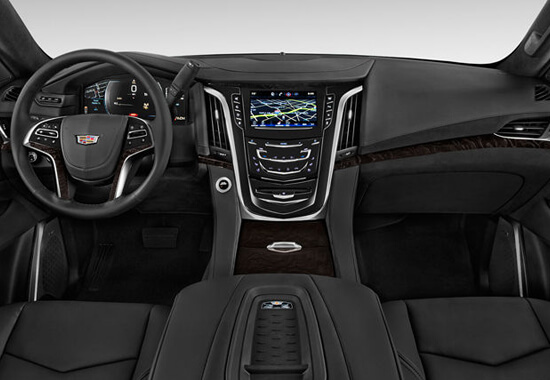 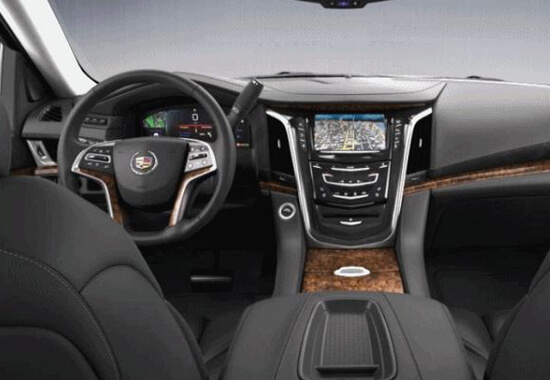 Sport Utility Vehicles such as the 2015 Cadillac Escalade that can comfortably accommodate 4-6 passengers with luggage. 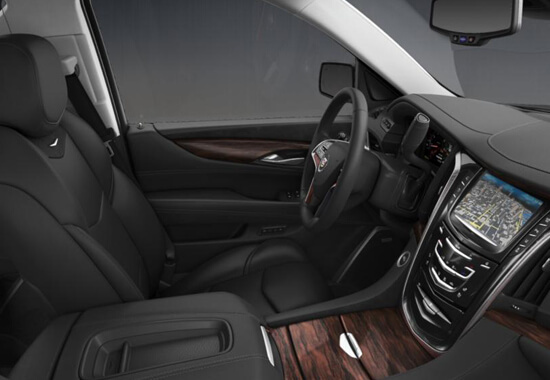 Enjoy the comfortable leather captain chairs, tinted windows, electronic climate control and spacious leg and cargo room. 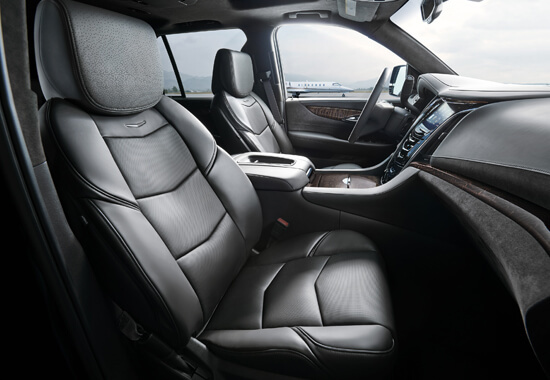 Our SUV's are equipped with the latest entertainment equipment and are ideal for secure, discrete and safe travels.